SEOUL: Troops from North and South Korea began removing some landmines along their heavily fortified border on Monday, the South’s defense ministry said, as part of a pact to reduce tension and build trust on the divided peninsula. Project details were agreed during last month’s summit in Pyongyang, the capital of North Korea, between its leader, Kim Jong Un, and South Korean President Moon Jae-in. In a statement, the ministry said the two sides agreed to remove all landmines in the so-called Joint Security Area (JSA) in Panmunjom within the next 20 days, with military engineers performing the hazardous task on the South Korean side. There was no immediate confirmation from North Korea that its troops had begun the process. The deal also provides for removal of guard posts and weapons from the JSA to follow the removal of the mines, with the troops remaining there to be left unarmed. 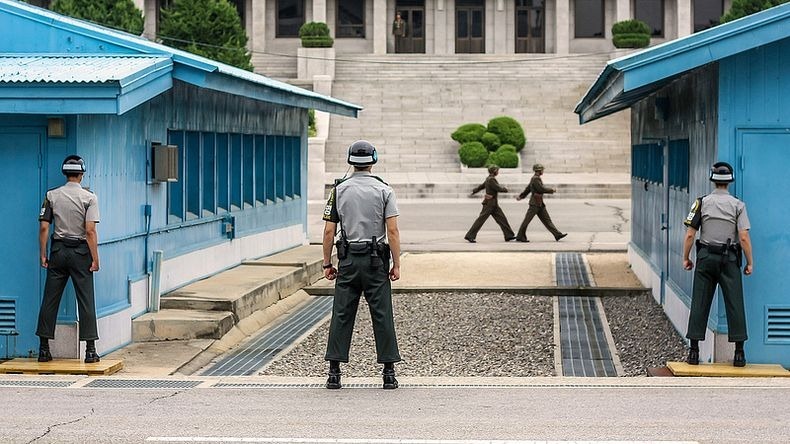 The JSA is the only spot along the 250-km (155-mile) -long “demilitarized zone” (DMZ) where troops from both Koreas are face to face, and it is also staffed by United Nations troops. Since then, however, it has been the scene of the first dramatic April summit between Kim and Moon, as well as their second, more low-key meeting, in May. They have already dismantled propaganda loudspeakers and some guard posts along the border. Demining projects are also set to begin on Monday in Gangwon province in eastern South Korea, to allow teams to search for the remains of soldiers killed in the 1950-1953 Korean War, the ministry added. More than a million landmines were laid in border areas including the DMZ and the Civilian Control Zone in the South, say demining experts, and civilians and soldiers alike have been killed or injured by them. In 2015, two South Korean soldiers were maimed by what Seoul said was a North Korean landmine, an accusation the North denied.